If you don't subscribe to House Beautiful, you must run out and get the March Spring Color Issue "All About Green" because it is amazing. 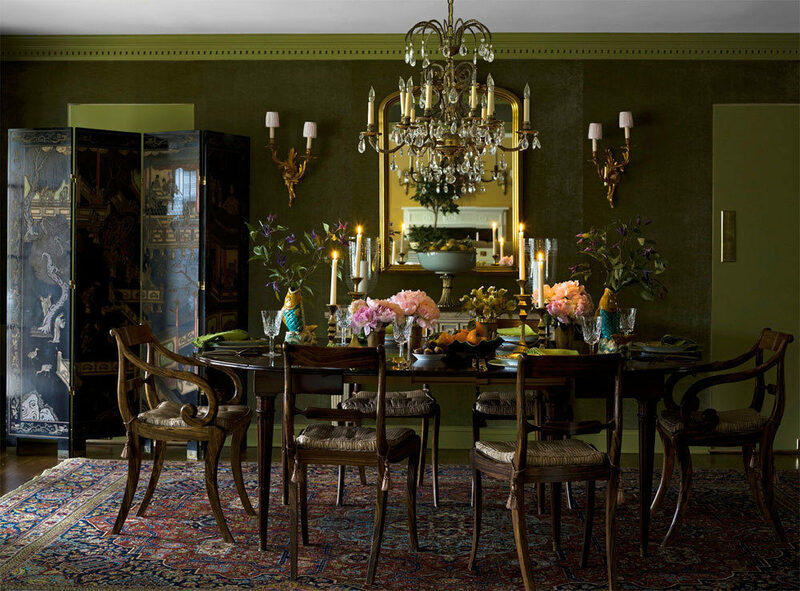 Check out this dining room by Meg Braff with its green velvet walls. The doors and moldings are painted in Forest Moss by Benjamin Moore. 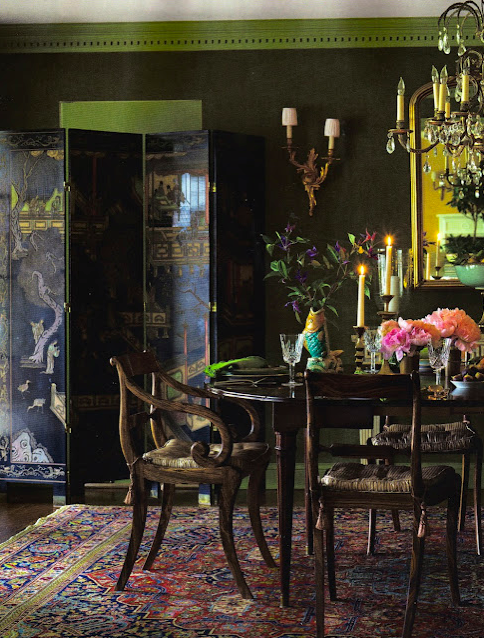 This week we will be doing our own version here on Chinoiserie Chic with green Chinoiserie rooms and fabulous green finds. Green will also be the subject of my upcoming Houzz Ideabook. Meg does such beautiful work! So inspiring!